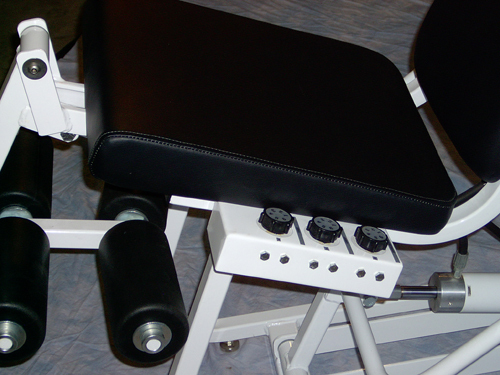 The HCombo3 features easy adjustable resistance and an adjustable knee yoke to accommodate different user heights. A user-friendly integration of the Hydraulic Shoulder Press/Pull, the Hydraulic Chest Press/Row, and the Hydraulic Knee Extension/ Leg Curl all in one unit! Now you can perform the same kind of hydraulic fitness workout at home without giving up space! 6 Levels of Adjustable Resistance at the turn of a knob. Easy-to-reach for individual workouts. Simple pop-pin adjustment allows flexibility for different user heights.